Professional cleaning services in Fast End of Tenancy Cleaning with pride, efficiency and attention to detail. Looking for professional end of tenancy cleaning in London you can trust? Meet the cleaning company with years of experience of delivering reliable, high quality cleaning services to landlords and tenants across London’s lettings industry. Get your full deposit back! Guaranteed! For the tenant, it’s a virtual guarantee that they’ll get their deposit back. For the landlord, it’s the confidence of knowing they have the best possible chance of attracting another quality tenant or getting a new tenant relationship off on the right foot. Residential and commercial end of tenancy cleaning is what we do. With experience, know-how and expertise gained from more than 15 years in business, we’re the company you can trust to deliver exceptional cleaning that satisfies both tenant and landlord at a competitive price. 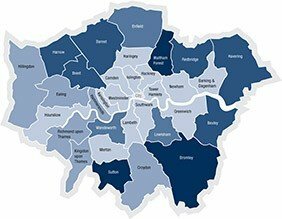 Operating throughout London, our move-in and move-out cleaning services are carried out by professionally-trained and qualified cleaners using top-of-the-line technology and specialist high end and environmentally-responsible materials and detergents you won’t find on the High Street that get the job done. When you hire us, you can be confident the property won’t just be clean to the eye, it’ll also be clean to the touch. Our specialist end of tenancy cleaning services include everything from deep cleaning of surfaces, floors and tiles to carpets, windows and, for furnished lets, mattresses, curtains and upholstery. We also ensure the appliances in the property, including the oven, are at their sparkling best. Because we only work on end of tenancy projects, we instinctively understand the timescales our clients are working to. It means we’re responsive, reliable and flexible – and we know what’s expected from our clients. Our professional cleaners in London don’t work to time limits – we won’t leave a property until it’s met our own demanding standards. And because we’ve got years of professional experience in check-out and check-in cleaning, we work with complete efficiency, meaning you get a spotless property that any landlord or tenant will be proud of and the best possible value for your money. As a tenant or landlord, your priority is to leave the property in the best possible condition so that the lease-end inspections and inventory checks go off without a hitch. That means you need a cleaning company that is completely up-to-date with the standards set by estate agents and letting agents. 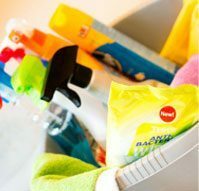 At Fast End Of Tenancy Cleaning we ensure all our cleaners always work from the most up to date guidelines so there are no nasty surprises when the final checks are carried out. We know the significance of having a proficiently maintained and inspected property. We know all the requirements for inventory checks. Our cleaners use individual guidelines among all the cleaning standards set by the estate agents. Our team will clean your property from corner to corner counting all kitchen appliances, house windows, bathrooms, floors etc. Satisfaction guarantee: if you’re not 100% happy with our work, we’ll come back and re-clean it free of charge. Honest and competitive pricing to fit your specific budget and requirements. To guarantee a stress-free, seamless end of tenancy experience, get in touch and let us take care of your lease-end cleaning needs. Book our professional cleaning services on 020 3912 1192. Leave all the hard work to us, so you can finally relax. We are open 7 days a week.